Two young girls were charged in clown hoaxes in New Jersey Wednesday, while police elsewhere in the state cited two teens after reports of masked motorists hanging out of the window of a vehicle and driving recklessly, authorities said Wednesday. The cases in Ocean and Bergen counties come amid a rash of reports of sinister-looking clowns, many hoaxes fueled by social media, around the country. More than a dozen people have been arrested across several states over recent weeks, and a White House spokesman was even asked about "creepy clowns" at a press briefing Tuesday. 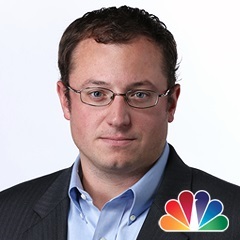 "I don’t know that the president has been briefed on this particular situation," White House spokesman Josh Earnest said. In the New Jersey hoax cases, a 14-year-old South Toms River girl was charged with fabricating a story of being chased by a person wielding a knife and dressed as a clown, which was posted to Facebook, Ocean County prosecutors and South Toms River police said in a statement. In Toms River, a 12-year-old girl was charged for allegedly making a Tuesday Instagram post from an account titled "Killerclownfromnj" that warned: "Some people wanted Toms River Intermediate East Middle School; I will be there at 8:37 sharp on Thursday, October 6th 2016!!" police said. In Fair Lawn in Bergen County, police at 1:03 a.m. Wednesday responded to a report that a black Toyota Tundra — with two people in clown masks hanging out a window — was following another car, police said. After police pulled over the Toyota, the 19-year-old driver was given a summons for reckless driving and an 18-year-old passenger was charged with possession of marijuana, police said. Three others were released without charges. 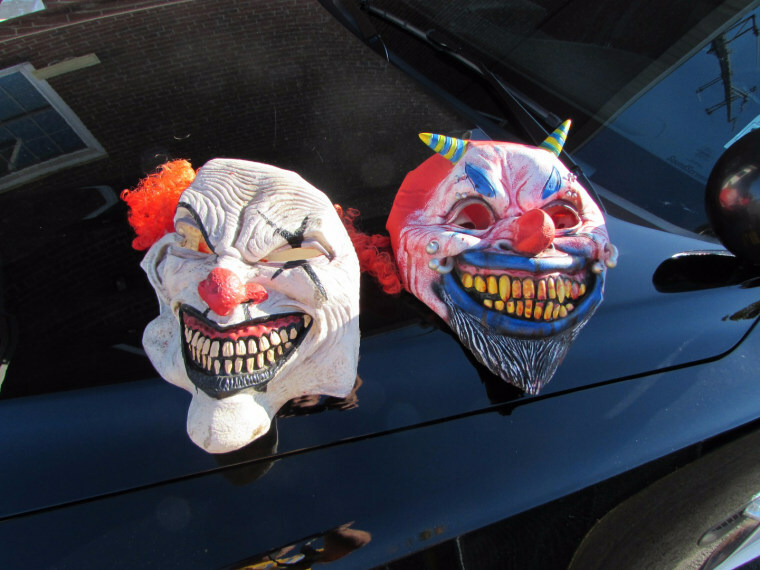 Two clown masks were found in the vehicle, police said. And in Connecticut on Wednesday, police arrested a 13-year-old boy in relation to Instagram posts “based on the current incidents involving clowns and threats," that identified four schools, state police said in an arrest report. The posts did not make any specific threats of violence, but caused enough alarm that police charged the boy with disorderly conduct, state police said. Toms River police last week blamed the phenomenon on "an organized movie promotion and have now morphed into copycat reports in New Jersey." In other incidents, 12 people have arrested across Georgia, Alabama and Virginia in the past two weeks for both sides of the creepy clown coin: Either making false reports of clown threats or actually chasing people while costumed, authorities said on various county police Facebook posts. Police in Sheboygan, Wisconsin, on Facebook Wednesday said the department received several calls of "creepy clowns" walking around, and warned people to "stop clowning around." There have been between three to four reports but no sightings were confirmed and no arrests were made, Sheboygan Police Sgt. Timothy Patton said. "We would like to kindly remind all that although there is nothing illegal with walking around in a creepy clown costume; trespassing on property, knocking on residents' windows & doors, chasing citizens down the roadway and sending threatening messages on social media is and can lead to a citation or an arrest," the police department said. Horror mastermind Stephen King, whose 1986 novel “It” featured the monster Pennywise who appears dressed as a clown, even spoke out about the apparent craze this week. "Hey, guys, time to cool the clown hysteria — most of em are good, cheer up the kiddies, make people laugh,” King tweeted.